After 20 years of exploring our cosmic neighborhood, NASA's Cassini spacecraft fell toward Saturn in 2017, burning up in the planet's atmosphere on its way to its death. 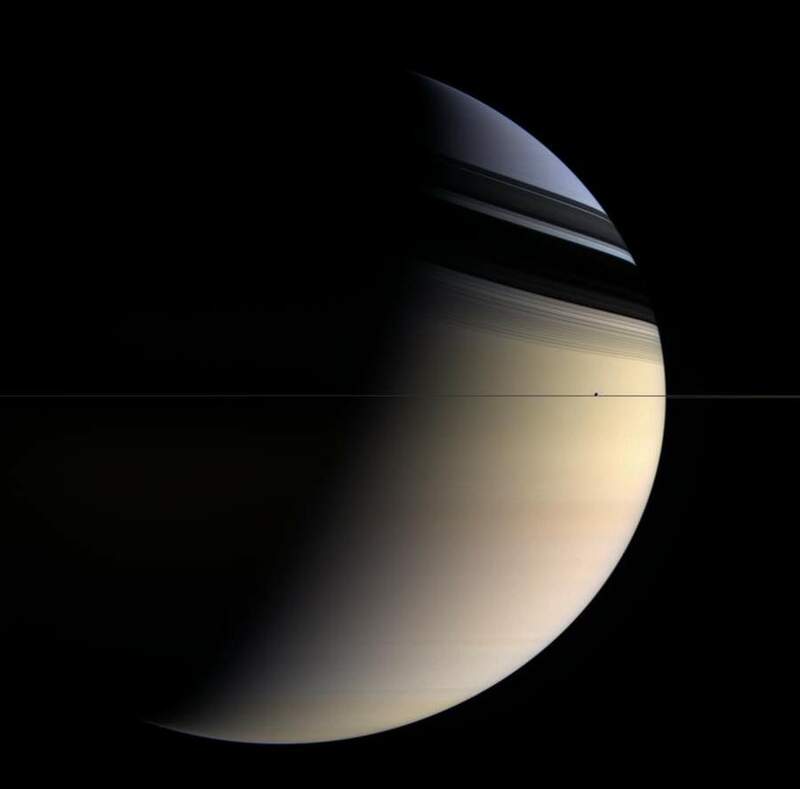 And while Cassini is no longer, the incredible images it took along its long journey to Saturn remain, including the one below of Encedalus sitting behind the atmosphere of Saturn, its final photograph as it descended toward its demise. Not only did the images from Cassini help scientists learn more about our solar system, but its camera helped capture the imaginations of us mere mortals, showing us the incredible detail to be found far beyond the reaches of our home planet. In this article, we present 31 of the best NASA photos of Saturn, taken over the course of Cassini's 20-year mission. Note: The images in this article are credited to NASA, JPL-Caltech, the Space Science Institute, and the University of Arizona. More images can be found in the Cassini Saturn image gallery. This photo shows two very different scenes on Saturn. On the one hand, the giant planet looks peaceful floating out there in the nothingness of space. But down below its atmosphere, a giant storm raged, seen here in the northern hemisphere of the planet. 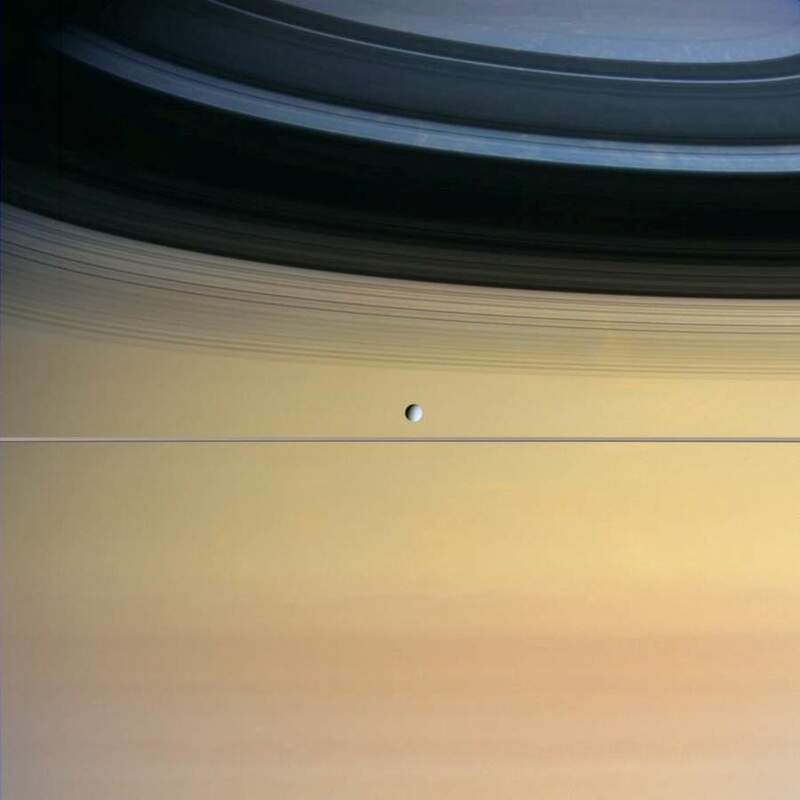 In this shot, Cassini captured Saturn in the depths of winter. 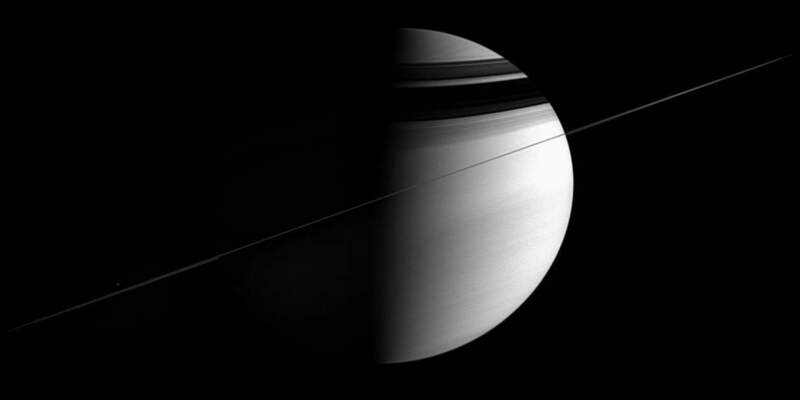 You can see its rings tilted on its axis, with the planet's northern pole cast in darkness. 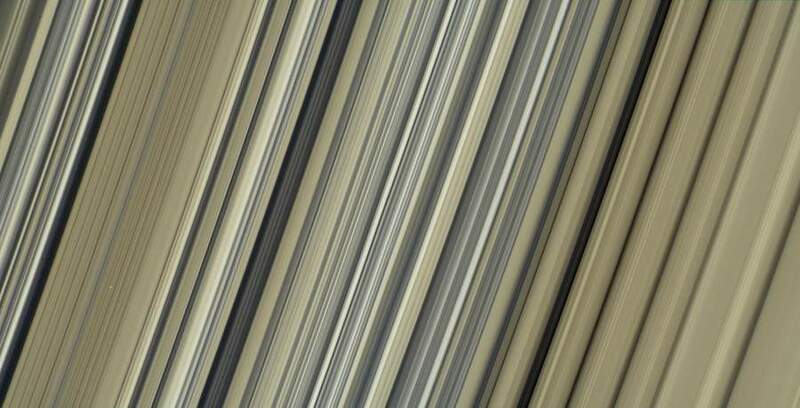 In springtime, Saturn's rings tilt downward, as seen above. 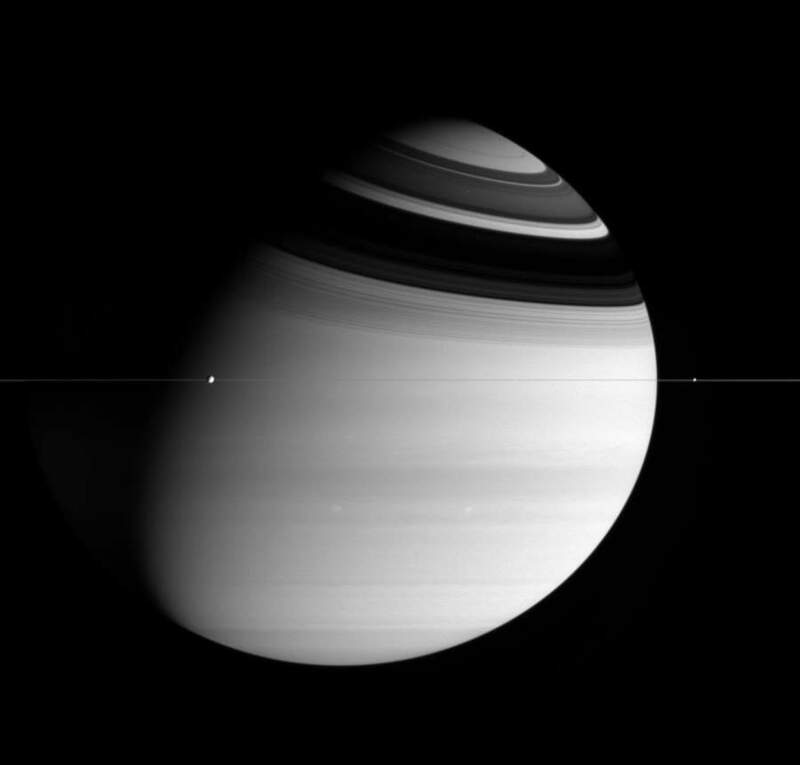 With this downward tilt, the rings cast much narrower shadows on the planet. 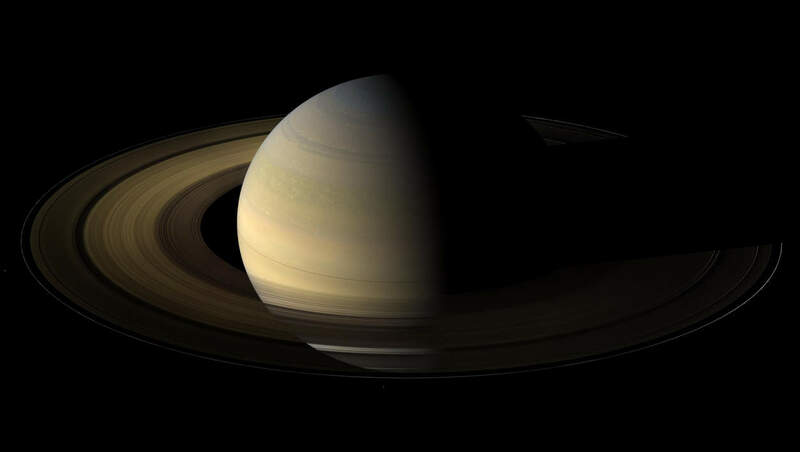 Fun fact - one season on Saturn is the equivalent to approximately seven years on Earth. 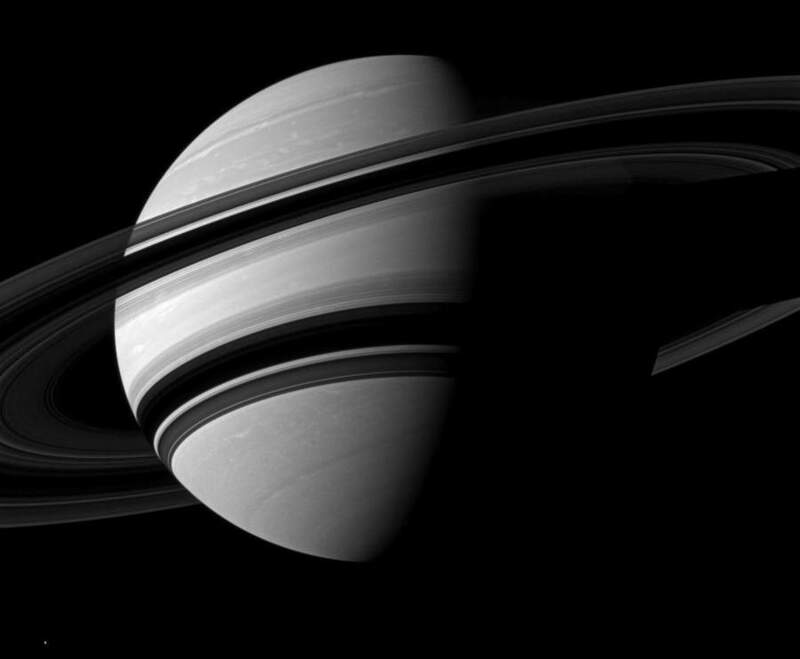 During the spring equinox on Saturn, the planet and its rings are perfectly level with the sun's rays. 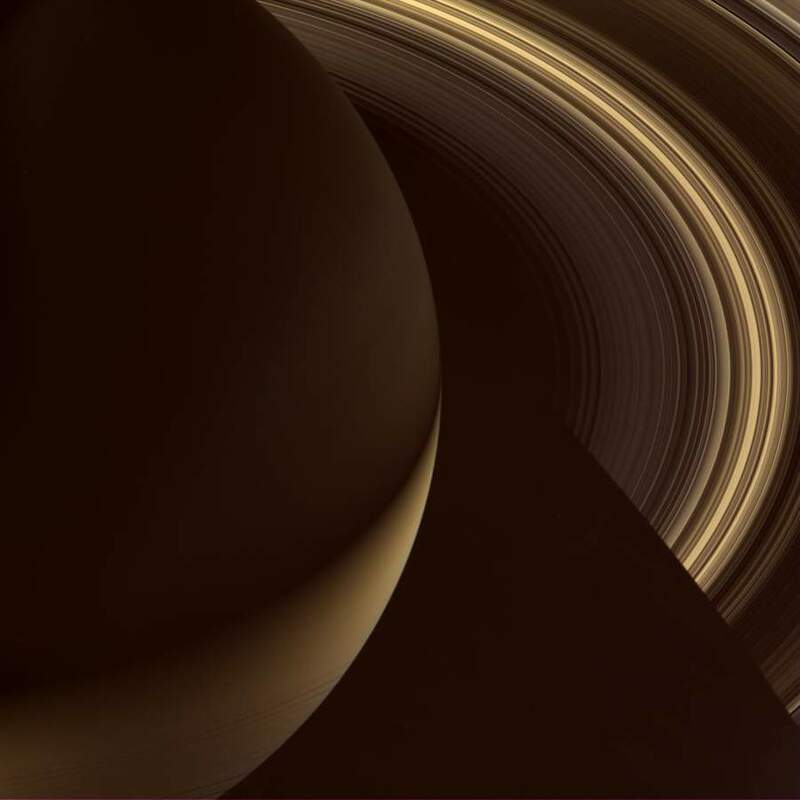 In this image taken when Cassini was perfectly level with Saturn's rings, you can see how the planet is not perfectly round. Instead, it's wider than it is tall. 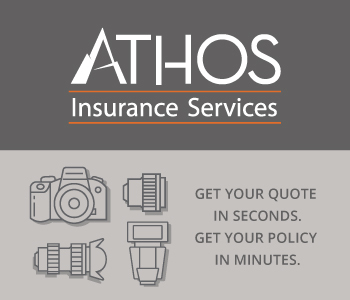 Editor's Tip: Earn more money for your photography business by joining our #1 affiliate program. 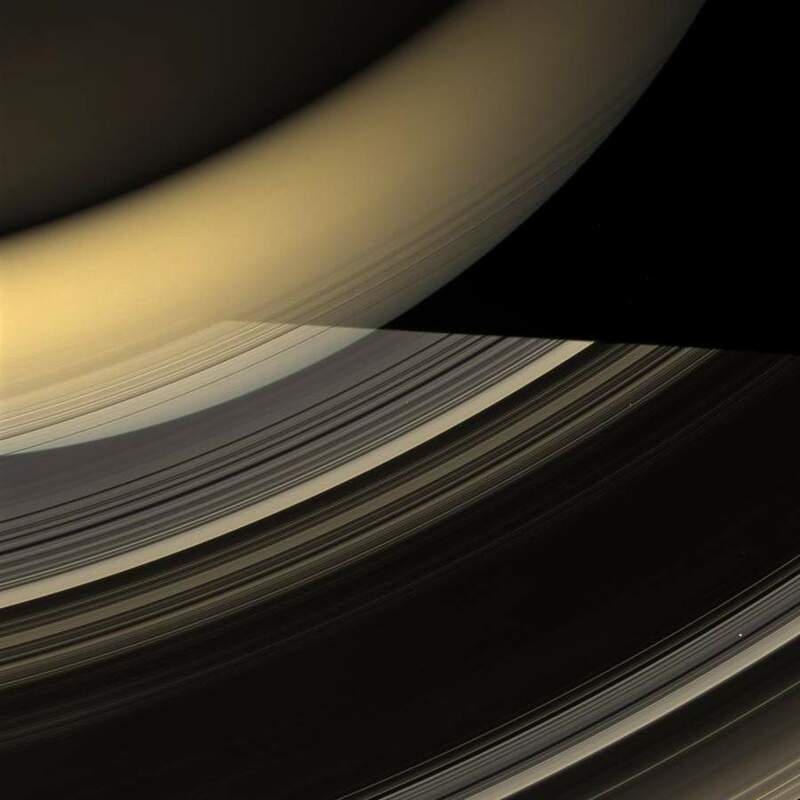 Some of the most compelling images of Saturn's rings are actually of the shadows they cast on the planet. 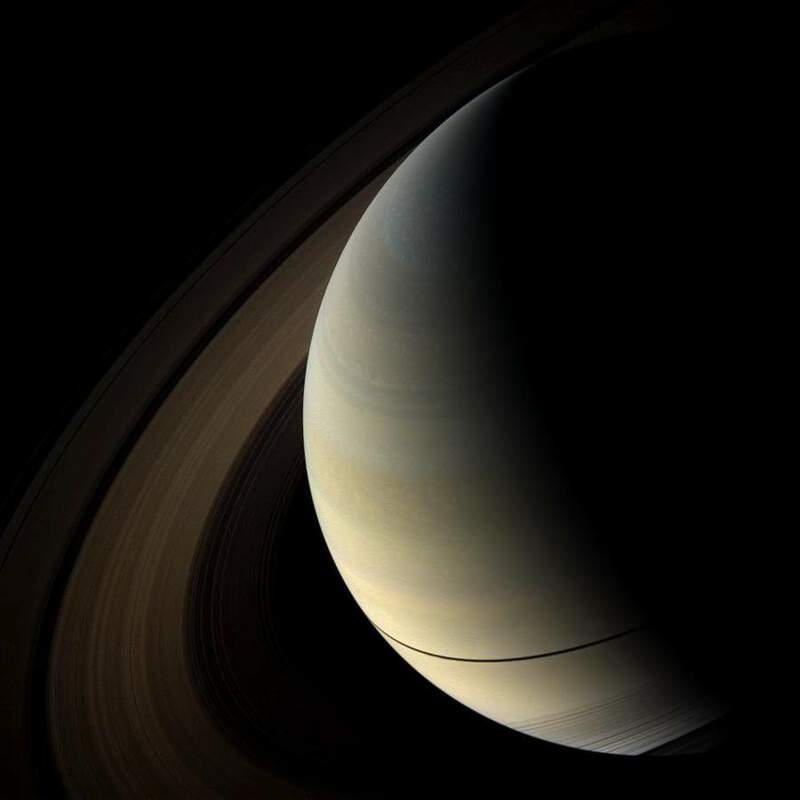 The dark spot you see on the surface of Saturn is the shadow from one of its many moons. This breathtaking shot looks like something you'd see on the cover of an old sci-fi novel. 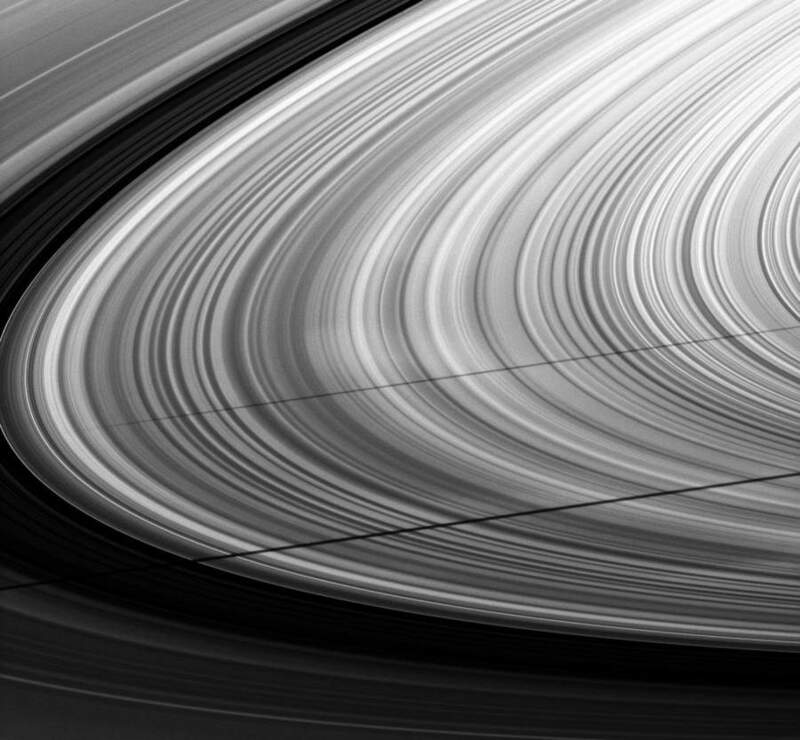 Saturn's best feature - its rings - were the subject of many of Cassini's photos. 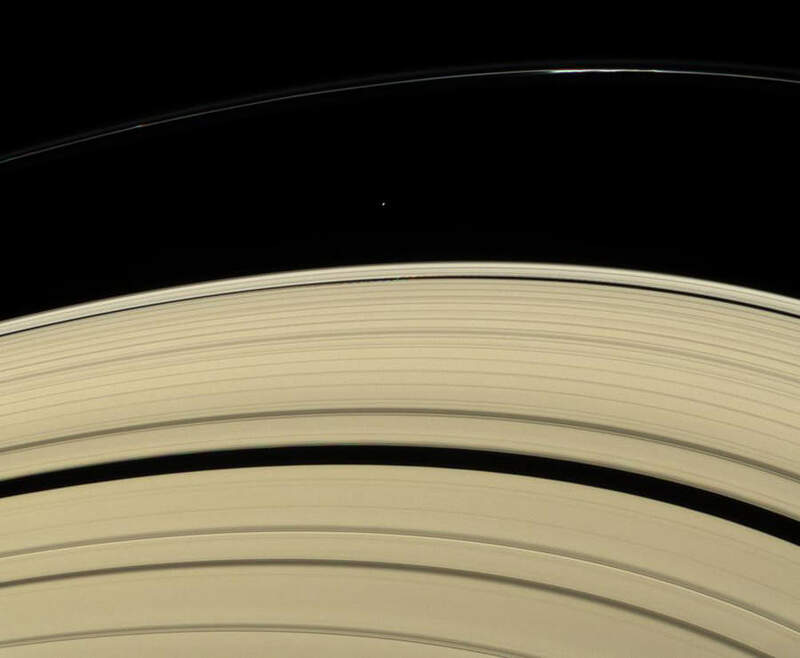 Above, you can see Saturn's A-Ring, and just above it, the tiny moon Atlas. 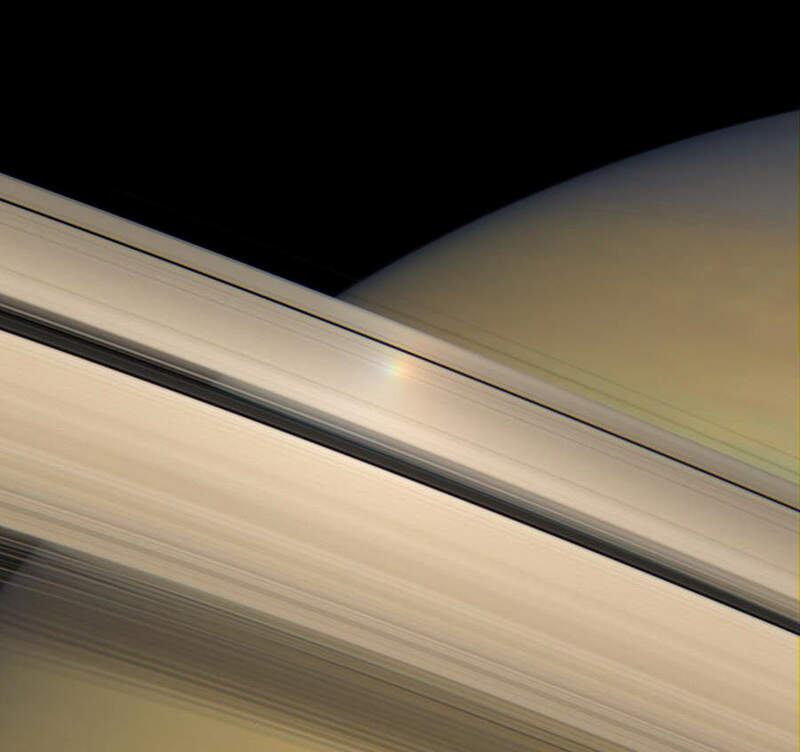 The rainbow seen in this photo is a result of the sun reflecting off of Saturn's rings. 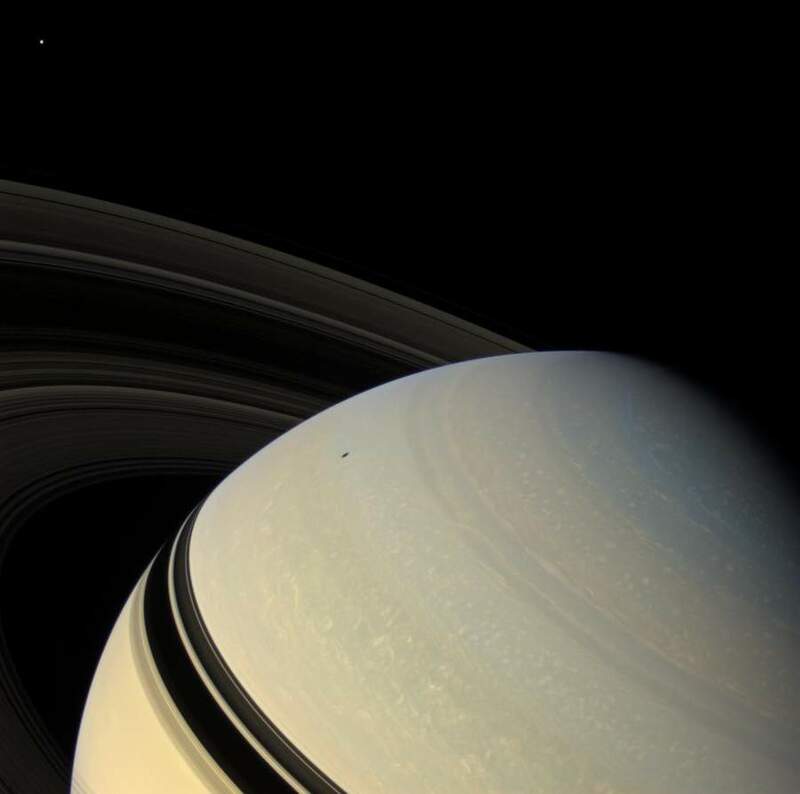 In this shot, you get a better sense of the size of Saturn's rings when compared to the planet itself. Though it looks like the rings abruptly end, they don't. They're merely cast in shadow. 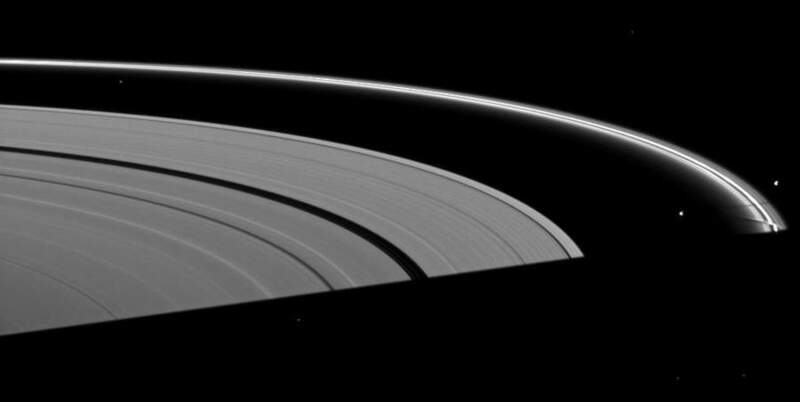 Here you can see one of Saturn's brightest features - the very thin and very bright F-Ring. 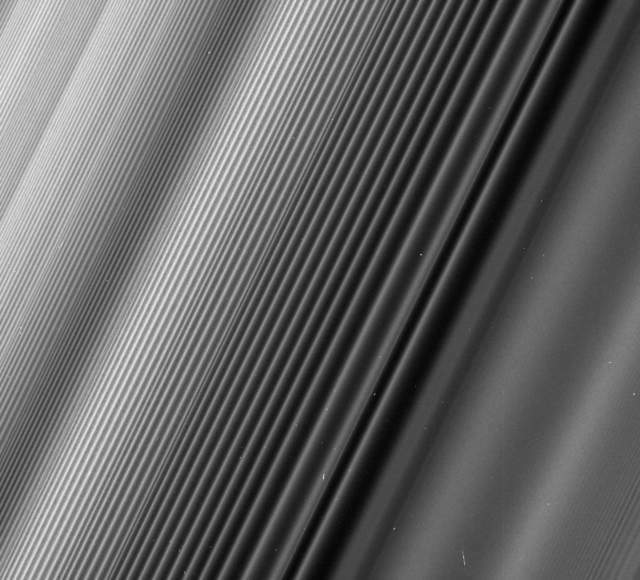 This abstract-looking shot is actually a close-up view of Saturn's B-Ring. 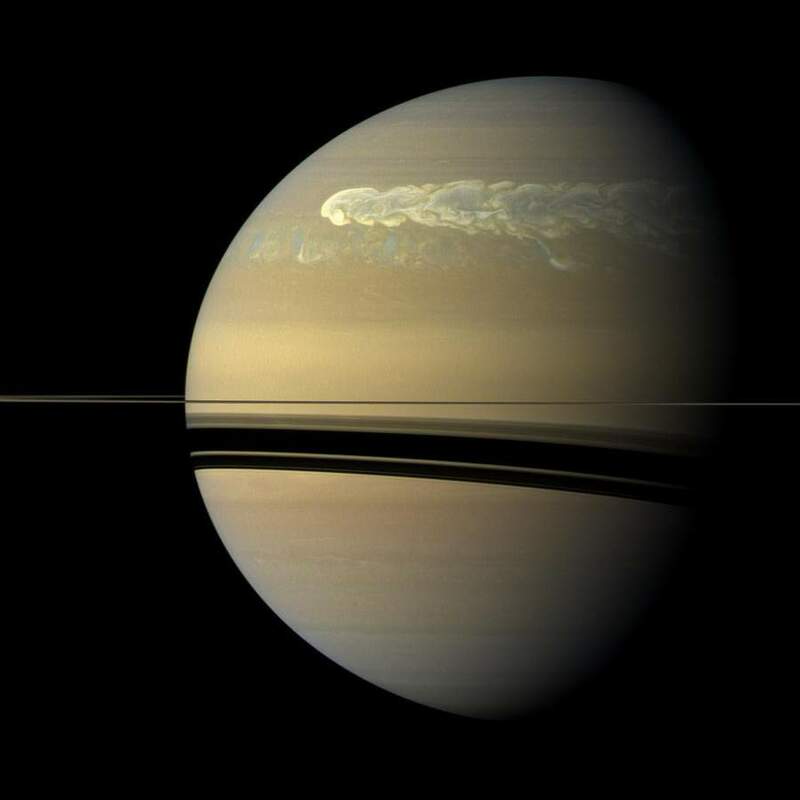 Sometimes, Saturn's rings are disrupted. 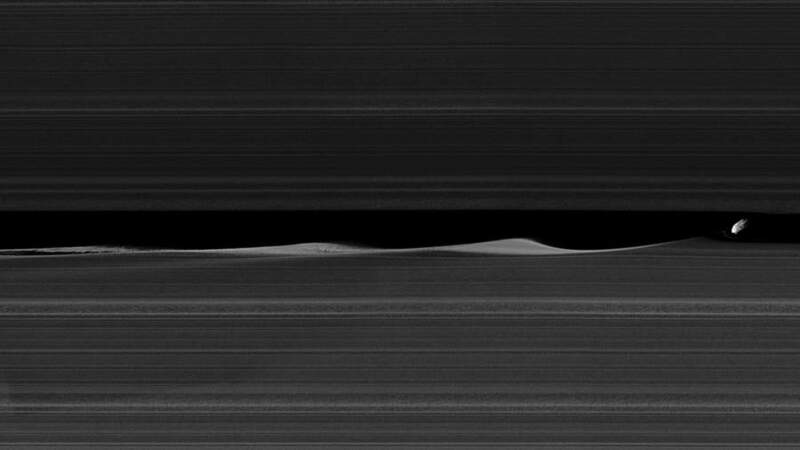 Shown above, you can see gravity waves in the planet's B-Ring. This occurs when Saturn's moons Janus and Epimetheus - which are on the same orbit - trade places every four years. Each crest in the rings shown above represents each time the two moons have passed one another in orbit, which occurs every four years. Here, you can see the long shadows cast by Saturn's moons Janus and Mimas. 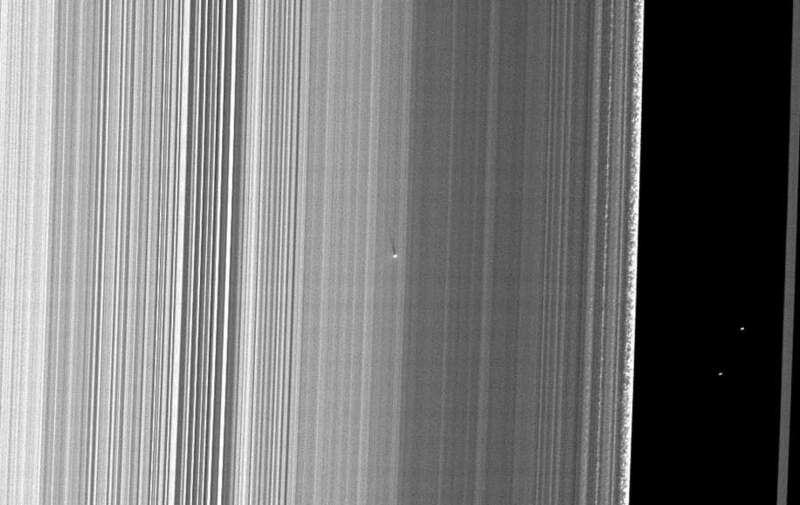 Daphnis, one of Saturn's many tiny moons, can be seen here leaving a wake as it passes through Saturn's rings. 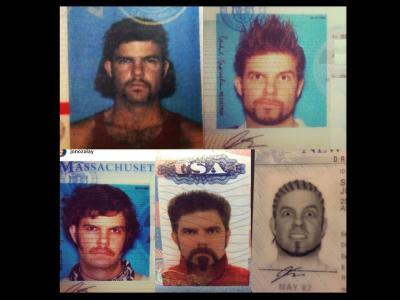 Editor's Tip: Your photos aren't complete until you have them printed. Learn how to print your photos like fine art. The effect that Saturn has on its moons is a two-way street. 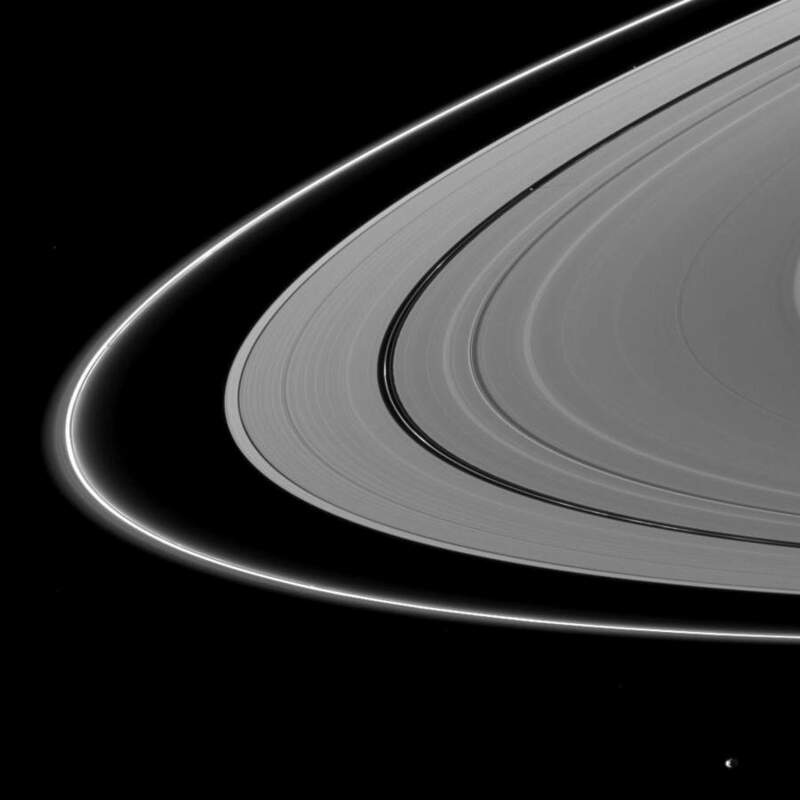 In this shot, you can see Pandora and Prometheus on the right and left sides of the F-Ring, respectively. The F-Ring gets its thin, braided appearance from Prometheus' gravitational pull. Saturn wasn't the only target of Cassini's cameras, though. 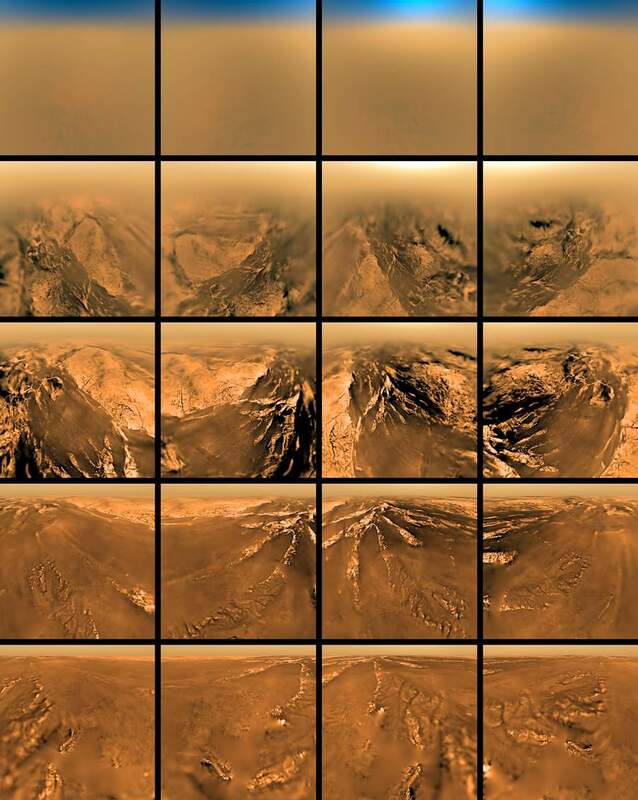 The array of photos above were taken by the Huygens probe, which parachuted through the atmosphere of Titan, Saturn's largest moon. The probe discovered that the moon has rivers and deltas much like earth, the difference being that the rain on Titan is comprised of methane. 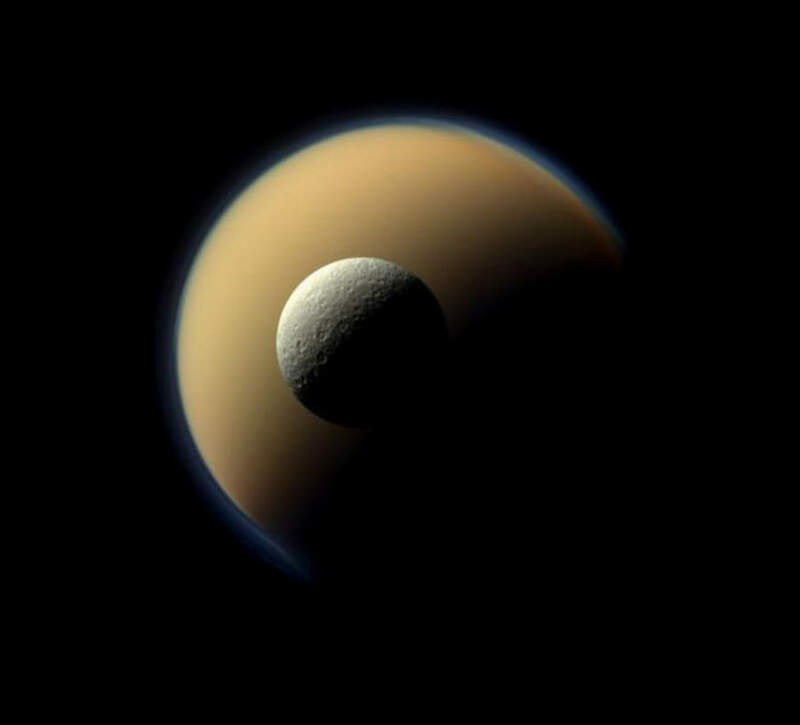 Above, Cassini captured this photo of Titan and Rhea, the two largest of Saturn's moons. For comparison's sake, our moon is in between the two in size - larger than Rhea and smaller than Titan. In this magical shot, Cassini photographed Enceladus, one of Saturn's most intriguing moons, appearing as though it's balancing on Saturn's rings. 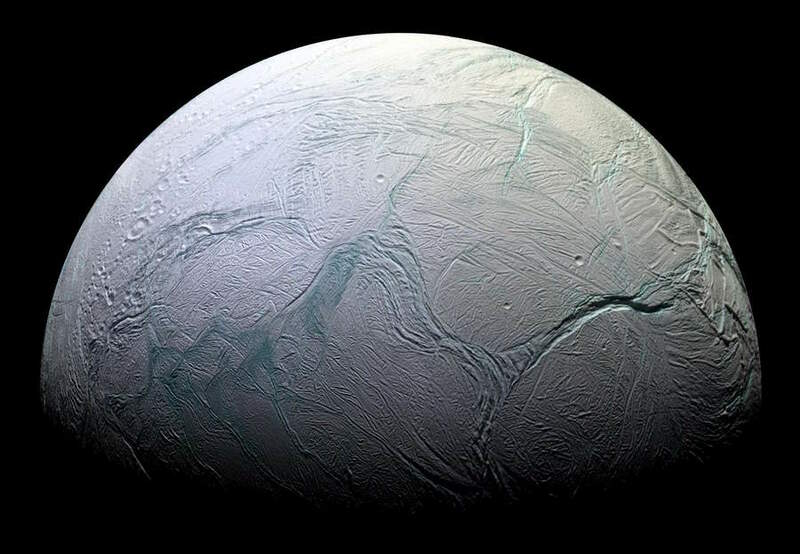 Of Saturn's 62 moons, Enceladus is certainly the most intriguing. The photo above shows the moon's ocean - which is comprised of water. Sporadically throughout the ocean are hydrothermal vents that warm the ocean's waters. 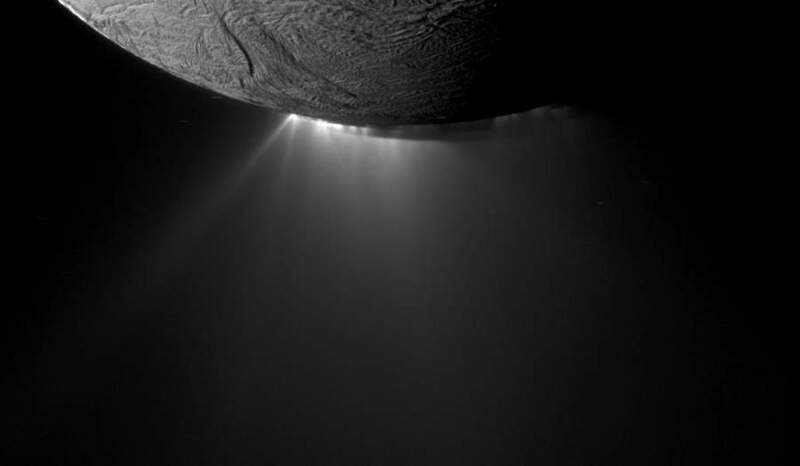 The animation shown above show geysers erupting on Enceladus. The white mist extruding below the moon's south pole is water shooting out into space. It falls back toward Enceladus as snow. Cassini actually flew through these geyser eruptions on multiple occasions. 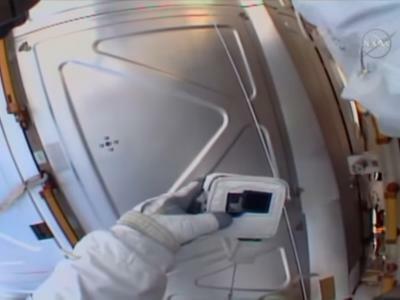 Though its instruments were not designed to detect microbes, they were designed to test for molecules that indicate the presence of life. Another moon with evidence of a watery ocean is Dione, shown here hovering above Saturn's rings. 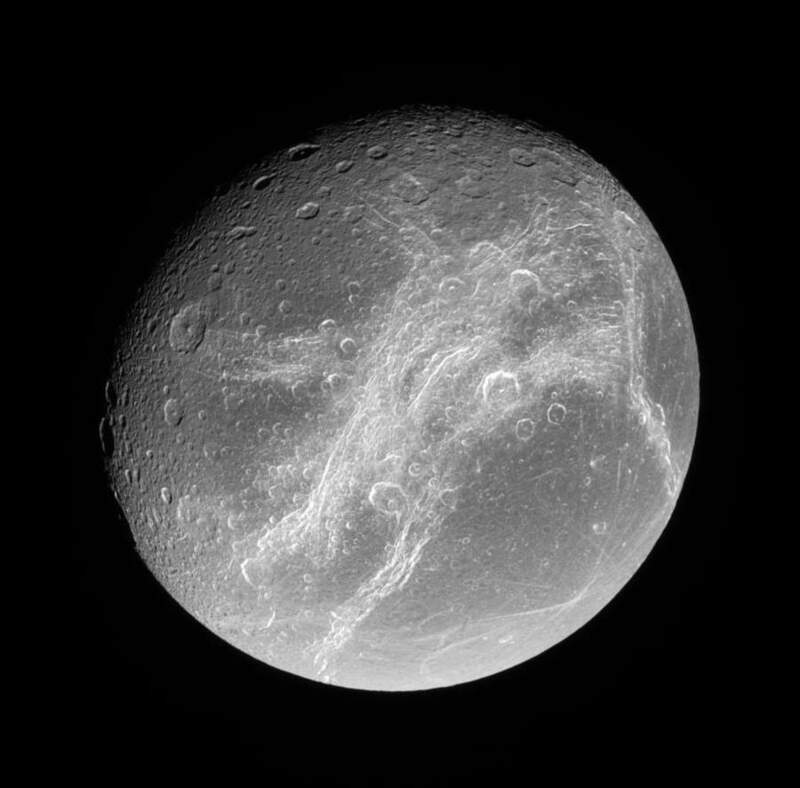 In this up-close shot of Dione, it looks a whole lot like our moon! Some of Saturn's moons don't look like a moon (at least how we think of them) at all. 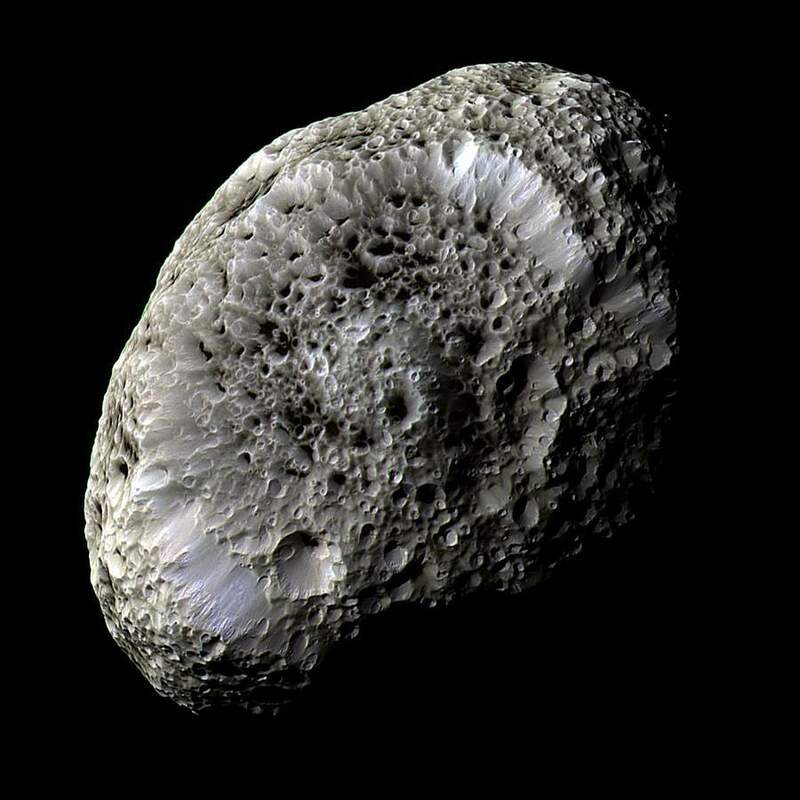 Here, you can see Hyperion, an irregularly-shaped moon that essentially tumbles around Saturn. 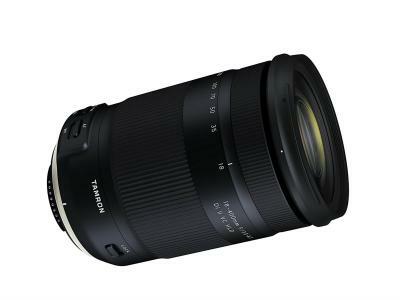 Editor's Tip: Before you buy a new lens, learn the value of buying bargain lenses. 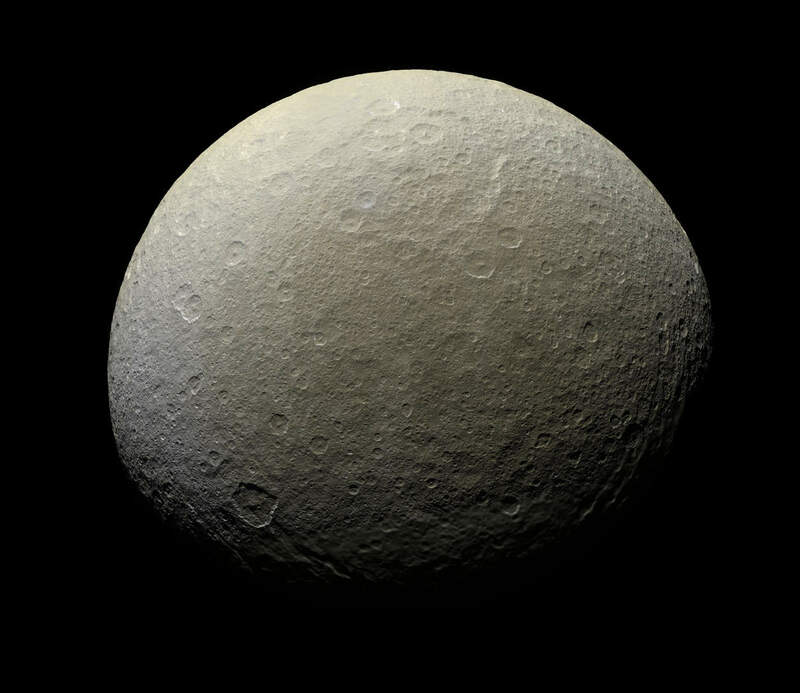 Rhea, one of Saturn's largest moons, looks a lot like our own moon, dotted with craters that indicate a turbulent past. 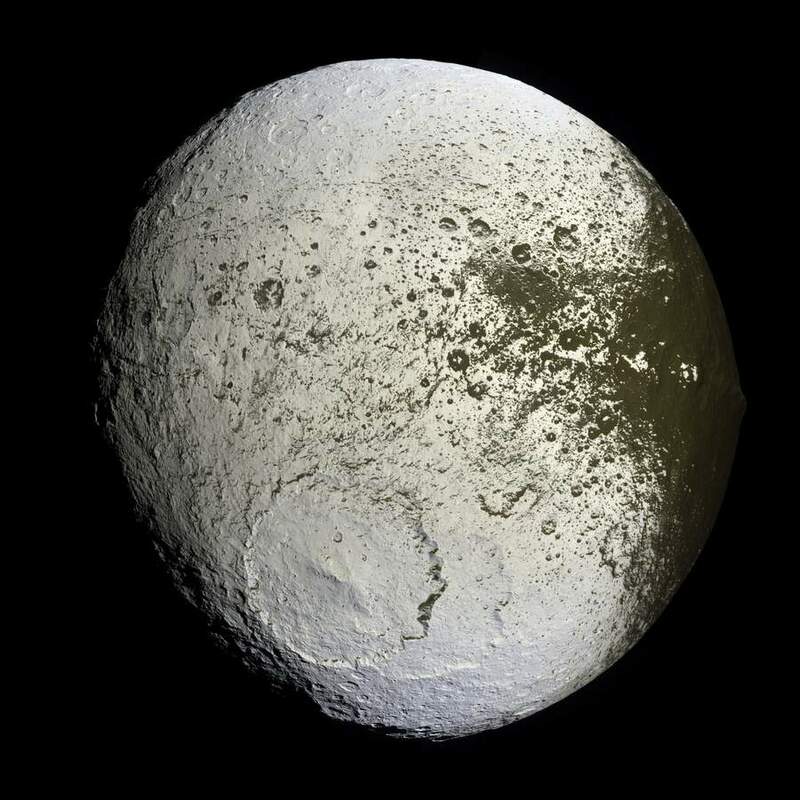 Iapetus is a gorgeous moon with a two-toned appearance. The dual colors result from the moon's atmosphere pushing dark dust out of the way of the front edge of the moon. Someday, Saturn will have more than 64 moons. As seen above, there are an array of moonlets forming, including one smack dab in the middle of Saturn's rings. For more information about Cassini, visit its mission page. Above, watch its "Grand Finale" descent to its death in a video by NASA.